The two countries have proven to be friends indeed assisting each other under rain and shine. The over two-hour audience President Paul Biya granted the French Ambassador to Cameroon, Gilles Thibault, on Friday February 23, 2018 was another moment for the two countries to reflect on innovative ways of deepening already cordial relations existing between Yaounde and Paris. The time the audience took is eloquent testimony of the mutually beneficial ties existing between Cameroon and France. 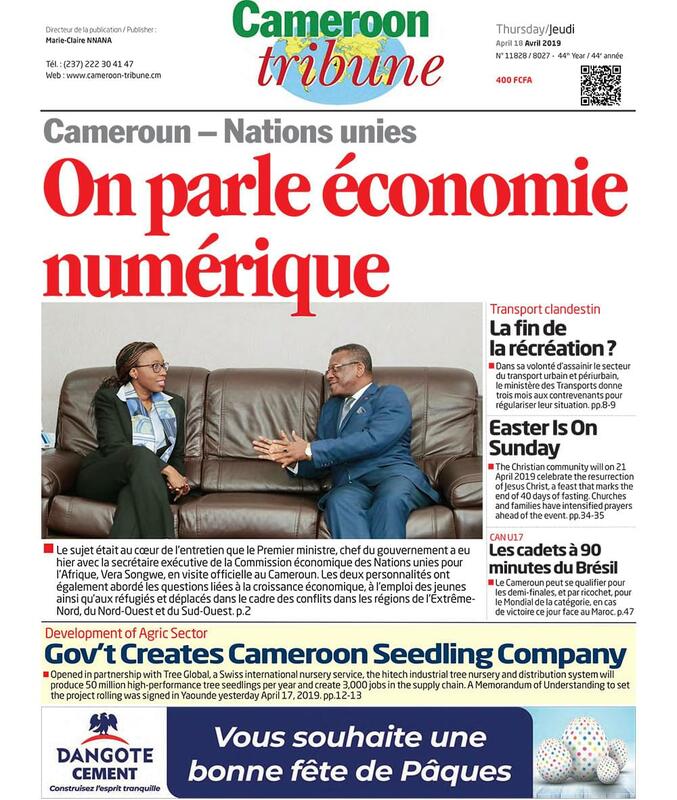 Cooperation between Cameroon and France rooted during United Nations Mandatory and Trusteeship periods has been growing from strength to strength. Reason why the French diplomat after the fraternal discussions with President Paul Biya told reporters, “There are many topics which are interesting to Cameroon and France. We discussed about the situation in France and also in Cameroon, and of course, about issues of common interest: Development, security, about the fight against terrorism and 2018 which is an electoral year for Cameroon.” Obviously so given France’s strategic contribution in giving Cameroon a socio-economic and political development worth the country. Since the advent of the battle against terrorism orchestrated by the bestial Boko Haram sect in the Northern part of the country and the refugee crisis in the East Region, France has been by Cameroon. For instance, in the heat of the crisis, the French government disbursed some FCFA 360 million to assist Cameroon in catering for refugees. In 2016, the French government equally donated some 11 equipped combat vehicles to support Cameroon’s army in the war against terrorism. On the economic front, France has stood out as a strategic partner to reckon with. Through her debt-relief and development contract, C2D, the country has piloted and continues to spearhead life-changing development projects in Cameroon. As a matter of fact, if Cameroon’s economic capital, Douala, today boasts of a second bridge over River Wouri, it is thanks to cooperation with France. Friday’s tête-à-tête between President Paul Biya and Ambassador Gilles Thibault was thus an opportunity to oil the long-standing winwin ties between Cameroon and France for better days ahead.